Gunheart on Sale this Week! Can you believe Gunheart has already been out for 2 months? They grow up so fast, and Gunheart has certainly been growing! Local Play Mode: Do you believe that true glory is reserved only for those that enter the battlefield alone? Don't want those other pesky bounty hunters bothering you with their "friendship" and "cooperation." Then we've got a mode for you! Horde Mode: Battle 15 increasingly difficult waves of enemies across 3 open battlefields! Enemies get new modifiers to make them even tougher, but tons of loot and money await those who can run the gauntlet! More Gun Mods! You said, "We love gun mods!" We said, "Okay, here's some more!" Rig Mods! You said, "We love gun mods!" We said, "Why just guns?" New Movement System. Totally revamped our locomotion system to make navigation as smooth as possible for VR and desktop players. Strafe + Jump + Teleport work together to provide a fluid experience. More Control Options. Click to turn: check. Inverted mouse: check. Air control: check. Improved click detection on Vive controllers: check. VR strafe speed slider: check. Lone Wolf Mode. As if Elite mode wasn't hard enough already, now you've got to do it by yourself. 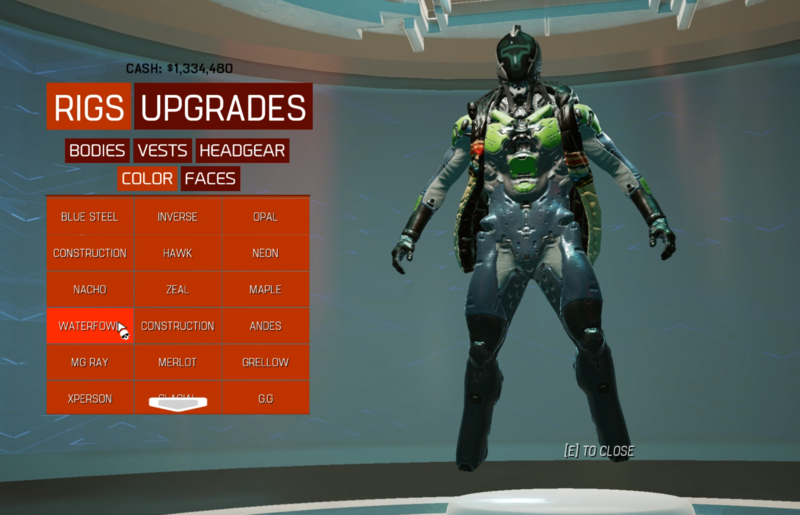 New Customization Options. Now you can customize the color of your rig, and those of you who have managed to max out your rigs get cool new title cards to show off. So to celebrate, Gunheart is 25% off this week on both the Oculus and Steam stores! To see the full list of all the new stuff we've released since launch, check out our June Update and our July Update. Preview the June Update Now! We are excited to bring our first post-launch content update to all Gunheart players in July! There will be a ton of new content in this one. Take a look below to see some of it. Plus, if you hop into the alphastaging build of the game today, you’ll be able to check out a lot of these features before the full update is released next week! Not sure how to join alphastaging? It’s easy! Go to your Steam library and right click on Gunheart. It’s the game you play the most so it should be easy to find. In that first dropdown, choose alphastaging. Play the alphastaging build and check out cool new stuff before all your friends. Potentially find that one of the guns or features is way overpowered. Message me personally so that I may use it against my coworkers before Ray fixes it. Discord is a great place to tell me about this kind of stuff. Note: alphastaging is its own separate build of the game, so your profile in alphastaging is separate from the one in public. This means all the guns and loot you earn in one will not go to the other. Alphastaging is great for hoping in to test out new features, but you’ll want to do most of your Gunhearting in public. Rig Mods. Mods aren’t just for guns anymore! Rig mods give you awesome new abilities, and like gun mods, there are multiple tiers from common to ultra. I’ve got to tell ya, some of these ultra rig mods are just ridiculous. Movement overhaul. We’ve changed the core player movement to get rid of all snags so you can now freely move about everywhere in the world. We’ve also boosted air control to give you more opportunity to finesse those tricky jumps. Lone Wolf difficulty. You’ll need to get 3 stars on a mission for this to pop up as an option. PVP updates! New weapon balances (shoot people across the map with the pistol while you still can). New health system for PVP including pickups for additional armor and shields. We're excited to announce that Gunheart will be leaving early access and officially launching on 06/04/2018 for desktop PC, Vive, Oculus Rift, and Windows MR! We're excited to announce that the April update for Gunheart is now live! Take a look at the video below if you'd like see some of the latest content in action and meet a few of the folks who worked on it, or if words are more your thing, skip down to the bottom of the post where you'll find lots of them. As always, we'd love to here your feedback, so reach out to us via Reddit, Discord, Twitter, Facebook, and of course through the Gunheart page on Steam. 3 Star mission achievements. Users can keep track of their accomplishments. Earn up to three stars for each mission by completing specific objectives including speed runs or beating the mission on elite mode. You are here. 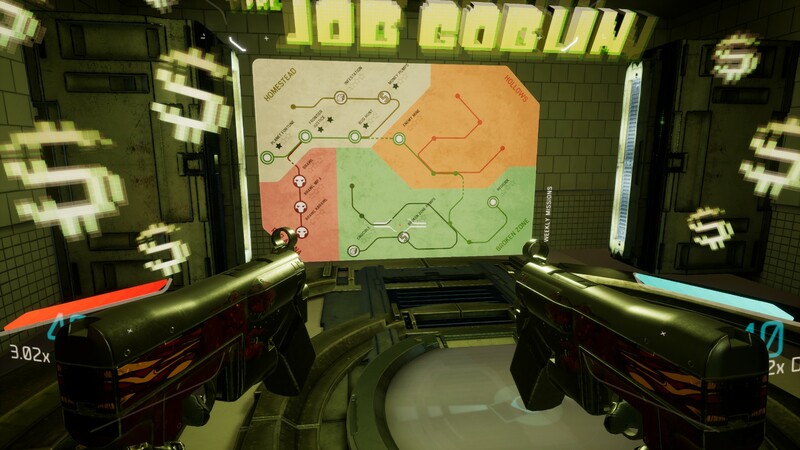 A new subway map-style mission selection UI gives users a better sense of how they are progressing across Gunheart’s Planet Fortune. No more scrolling through lists of missions guessing at how to unlock them, yay! New Enemy variants! Wider variety of the hopper enemies, including winged hoppers who will fly to give themselves a better angle in combat. Keep your eyes up! Tougher money pumps! You asked, and we delivered! Tweaked the difficulty for the money pump missions. More bad guys! Adjusted enemy behaviors and spawns across multiple campaign missions. Enemies will be more aggressive, they’ll deal with fast moving players better, and when and where they spawn makes more sense. They … just … keep … coming! Beating death heart! A new death screen appears upon player death including new UI and an awesome looking beating heart. It’s so pretty, you’ll want to die! Get your brawl on! PVP updates! Brawl is much faster paced than before. Scratch that old school deathmatch itch! Completely revamped how weapon pickups work in PVP. You can now strafe over weapons and grab them automatically, and then switch weapons in the quick menu. Adjusted PVP weapon spawn locations and timing. Adjusted PVP weapon balance and put different mods on the weapons you’ll find there. Players will also drop weapons on death now. Iniquitous PVP map has been infected! Check out the new look, but don’t touch that stuff … it looks gross. Money kegs for everyone - money is now shared across all players, and new Gold money kegs can show up in later missions which give 3x the reward. Loot room tweaks - bring your bats for some loot smashing fun, loot eggs conveniently float up for smashing, and in-world pop-up makes it much easier to see what reward you earned. Multi-tool is now smarter about grabbing objects quickly in a cone in front of your hand and will prioritizing what it grabs, making it much more reliable in the heat of combat as a defensive tool. Ongoing improvements and bug fixes to audio, enemy AI, and locomotion. I’m Hunter, and I’ve recently had the privilege of joining the team here at Drifter as lead producer. I’ll be helping out with our blog posts on the site until we find someone who is actually qualified. Be sure to stay tuned here for much more frequent updates about all of our projects. Reddit, Twitter, and Facebook are also great ways to keep in touch. Let’s jump right in and give you a sneak peek at some of the content we have planned for our Gunheart April update! Most of you out there should be able to get that first star pretty quickly, but you’ll find Elite mode and the speedrun to be formidable (based on the sobbing we’ve heard coming from the QA department). We’re doing a few other things to make the game more punishing fun for all of you. You’ll find money pumps will be more difficult after the next release, so you better get in there now and take advantage. Soon you’ll have to earn that cash! Oh and hoppers can fly now. Those enemies that have been running around with wings … they’ll use them now to shoot you better. We’ll probably keep calling them hoppers. Considering all the dying you’ll be doing, we updated the death sequence. How can you call your game Gunheart if there isn’t a big, awesome beating heart prominently featured on your death screen? Well you can’t, so we have that now. Last but not least, there is a host of changes coming to PVP this month. We’re updating maps, tuning weapons, adjusting weapon locations, and a bunch of other stuff to make shooting friends and strangers alike more satisfying. This is only the tip of the iceberg for our April update. We’ll do our usual thing and release a video when the update goes live and tell you about all the other cool stuff. Multitool Overview, aka let’s have fun with physics! Brian and Kenneth take minute to chat about the the multitool which allows you to grab physical objects in Gunheart. Use objects as impromptu shields, chuck explosive barrels at pesky bad guys, or even pop the heads off enemies when they get in your face. VRFOCUS posted our E3 interview with Mister Ray Davis. Describing the various ways you can move about in Gunheart, using both teleportation and strafing. Also briefly covers support for playing while seated in addition to normal standing/roomscale play.